When I originally decided to start this site, I visited some other travel blogs to see what they were like. 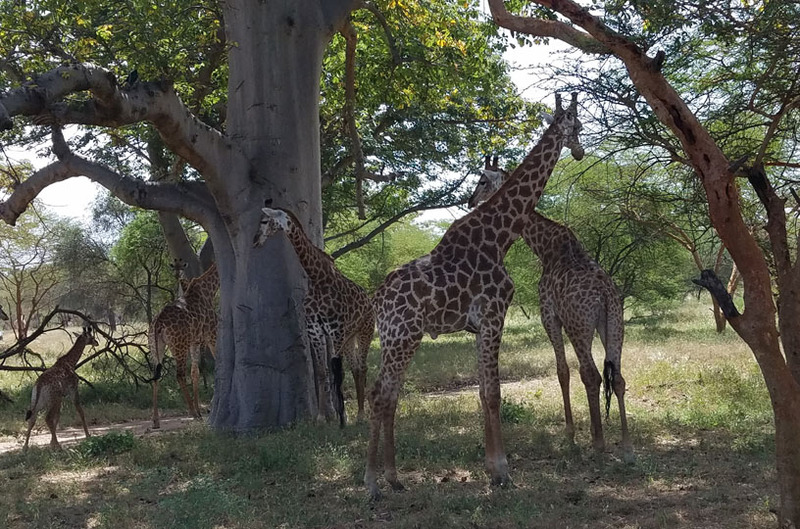 I needed to create some kind of online journal as part of my job responsibility for the month I spent in Senegal with the IBM Corporate Service Corps. IBM lets participants decide what specific approach to take, so long as we create something. I chose to use this as a starting point for a more general travel blog that would talk about not only my month in Senegal, but also other places I visit. “Here’s what I did on my vacation” stories accompanied by selfies and anecdotes. Showcase for hobbyist or professional photographers’ travel photos. Guidebook approach: suggesting things to do and providing a little background information about the place, along with logistical information such as address, how to get there, cost to get in, hours open, etc. Monetized blogs that promote mediocre products which will generate payouts to the blog owner via affiliate programs. I gave some thought to where I wanted to fit in, and proceeded accordingly. 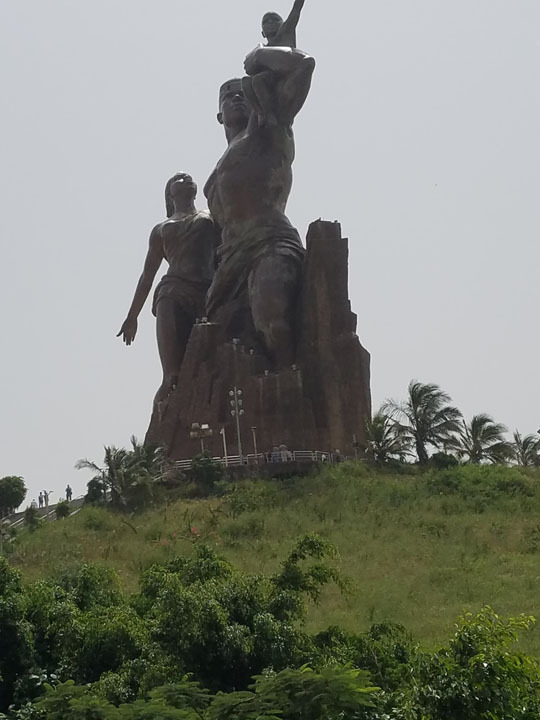 The African Renaissance Monument stands at Dakar, Senegal. I started by posting photos of things I had seen with some narrative about the content of the photos. It was a good place to start, but it felt a bit superficial to me. I wanted to offer more of a back story that would show why I thought the topic of the photo was interesting enough to write about. I experimented with adding my personal impressions and experiences to tell a story, but didn’t want to go too far down the path of centering myself in a story about somebody else’s homeland. Also, I want to be respectful in how I talk about the people I meet and their culture, so I think carefully before writing about my personal reactions to things. I try to imagine how one of the people I’m writing about would feel if they were to read it. Something that looks like a funny story to me might look insulting to people whose homeland I’m writing about. At this point in time, I have not monetized my blog and I don’t have any plans to. I suppose it could happen in the future, it’s just not where my priorities lie today. I do know this – if I do monetize the blog, I will include only affiliate links for products I have personally tried and liked. Now that I have been doing this for 8 months, I’m feeling comfortable that I have found my voice as a travel blogger. 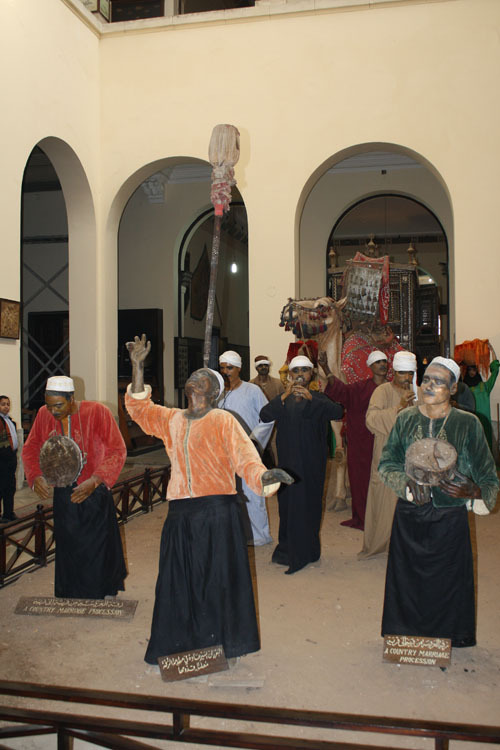 Performers lead a wedding procession in this tableau at the Agricultural Museum in Cairo, Egypt. I like taking photos and sharing them, so I’ll keep doing that. I like exploring only one topic per blog entry, featuring multiple photos related to that topic. 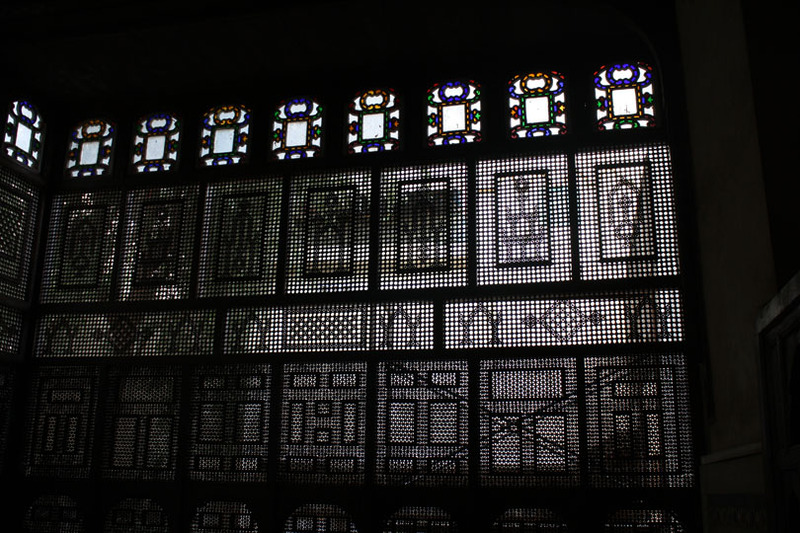 For example, I created a post about the Agricultural Museum in Cairo specifically centered around the diorama showing a rural wedding celebration. There are many other exhibits in the museum, but I wanted to keep that post focused on the topic of the wedding. I may decide to post other photos of other exhibits from that museum in the future. Photo copyright 2016 by Jewel. All rights reserved. Performers in a tannoura show in Cairo, Egypt. I have decided I want to try to include background about the subject of the photo that will go a little deeper than what a typical guidebook might tell you, especially with respect to history and culture. 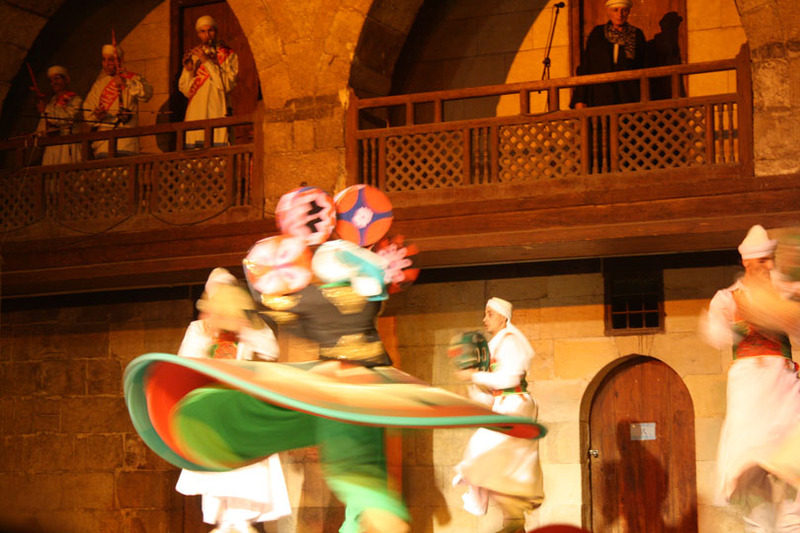 For example, when I posted my blog entry about the tannoura whirling shows in Cairo, I offered a bit of background about the history behind Sufi whirling and the form it takes in Egypt. 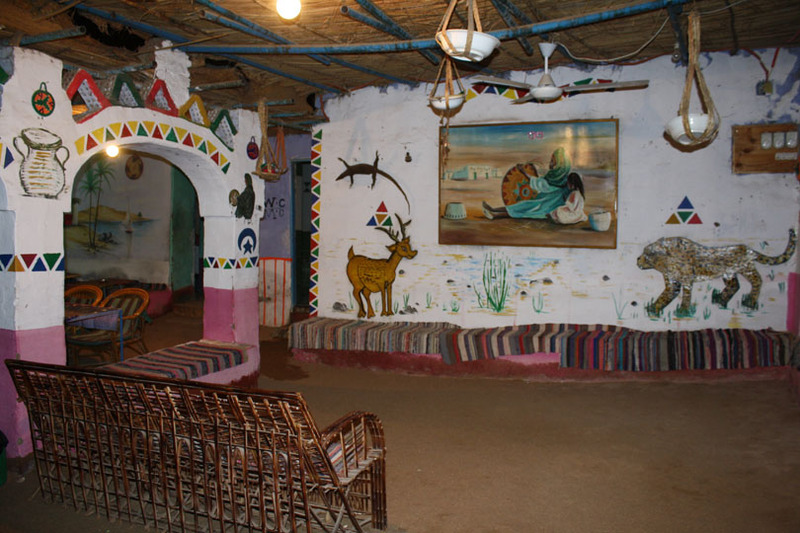 In Egypt, one of the forms of entertainment you may encounter in tourist shows is the tannoura. 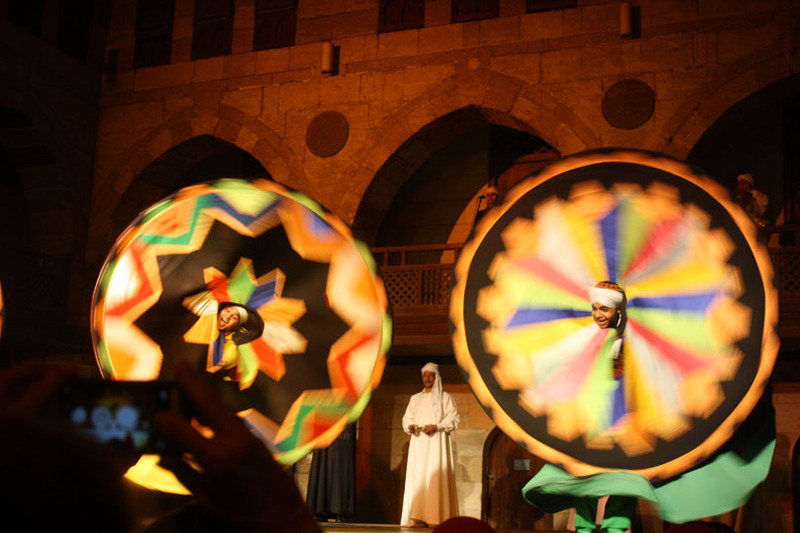 This consists of whirling to music, which originated as a Sufi ritual, and today in Egypt has become an elaborate artistic performance. During the 13th century, the legendary poet Mevlana Jalaleddin Rumi made his way to the town of Konya, Turkey, where he settled. Rumi was a practitioner of Sufism, which is an implementation of Islam that embraces mysticism. He believed in music, poetry, and dance as being paths for connecting with God. Under Rumi’s leadership, the Mevlevi sect of Sufism arose in Konya, Turkey. Its participants used whirling as their way to let go of their ego and connect with God. The photo below shows the garb that Turkish dervishes wear for their semas (whirling rituals). Photo copyright by Jewel. All rights reserved. 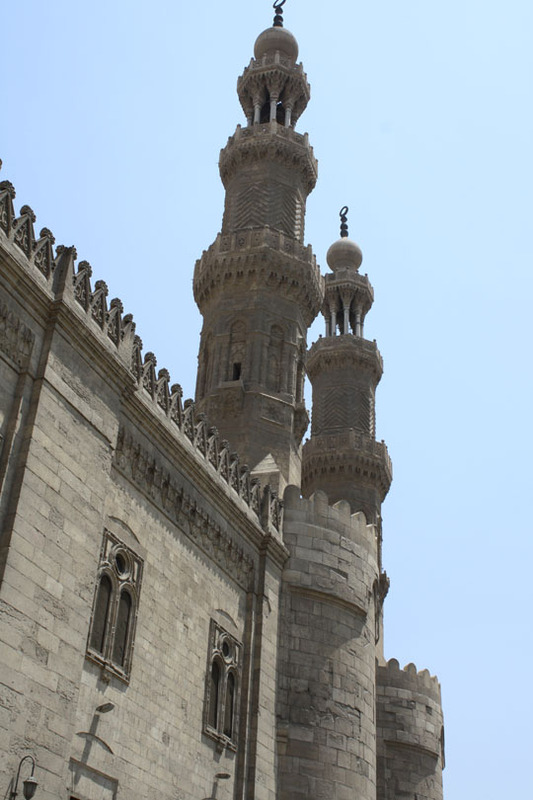 After the Ottomans conquered Egypt in 1517, Turkish cultural influence began to make its way south to Egypt, and that included the Mevlevi whirling dervish sect. 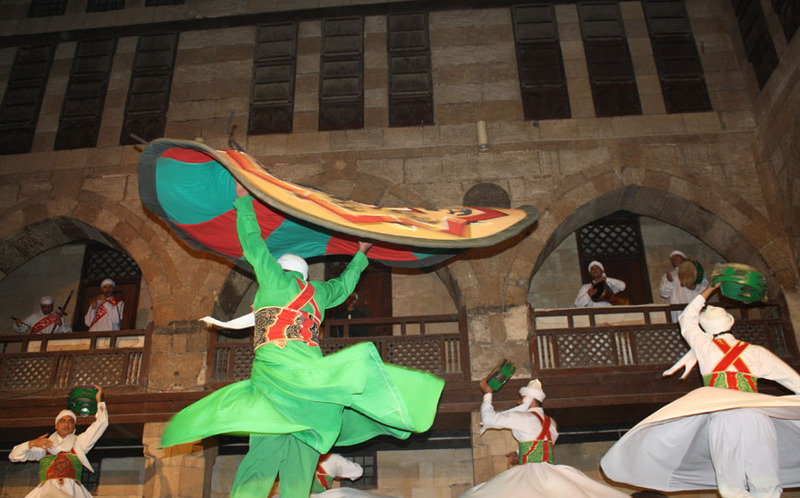 Egypt’s tannoura performing art owes its origin to the Mevlevi practice sarted by Rumi, but modern-day performances of tannoura are designed to serve as entertainment, and therefore they incorporate showmanship techniques. Some retain the Sufi music and spiritual tone, while others have moved into a more secular direction. The word “tannoura” means “skirt” in Arabic, and in this context refers to the skirts worn by the men. “Tannoura” has also come to refer to overall performance, and also the men wearing the skirts. The Egyptian tannoura garb is very colorful, to enhance the spectacle. Although Sufism exists in Egypt, the whirling tradition of the Turkish Mevlevi sect is not strong there. Instead, Egyptian Sufis prefer other movement formats. 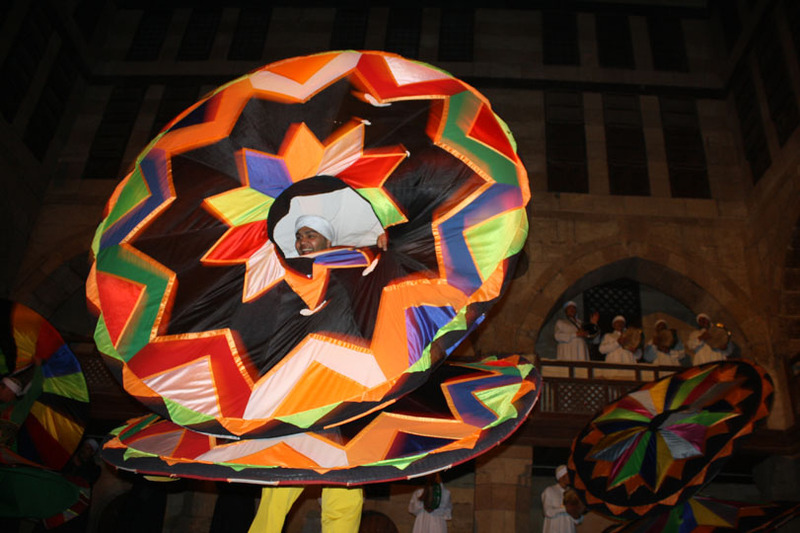 In an Egyptian tannoura show, the whirlers manipulate the skirts to produce a variety of visual effects. Typically, the performer wears more than one skirt, which allows for the outer layers to be removed and used in the dancing. One level of skirt is sewn together at the outer edges, creating a cone effect when the top layer is raised above the head. Photo copyright by Jewel, 2016. All rights reserved. The Al-Tannoura Egyptian Heritage Dance Troupe show at Wikala al-Ghouri is sponsored by the Egyptian Ministry of Culture. 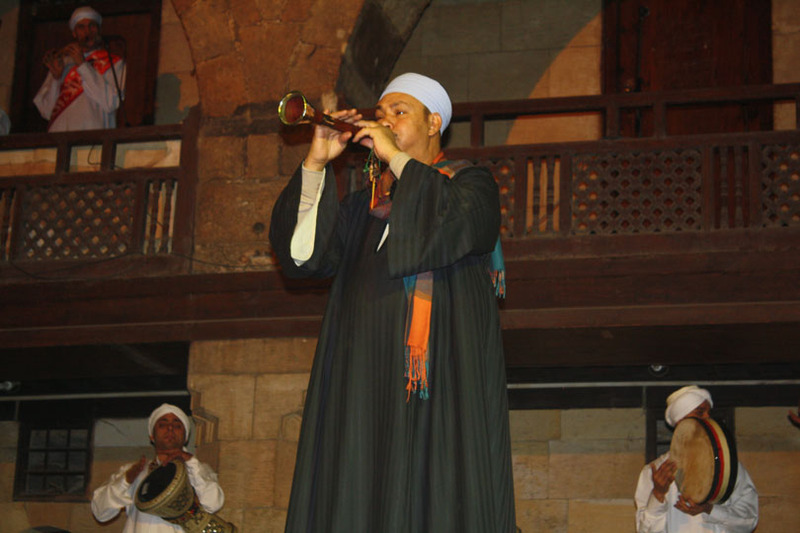 It begins with a performance of spiritual Sufi music, featuring in turn different musical instruments, including the mizmar (shown below), the nai (a type of flute), the percussion, and the singers. After the musical introduction to the show, the Sufi dancers take the stage. These men wear white gallabiyat (robes) with a vest over them. Their movement is choreographed for the stage; however, it is based on authentic Sufi ritual movement. 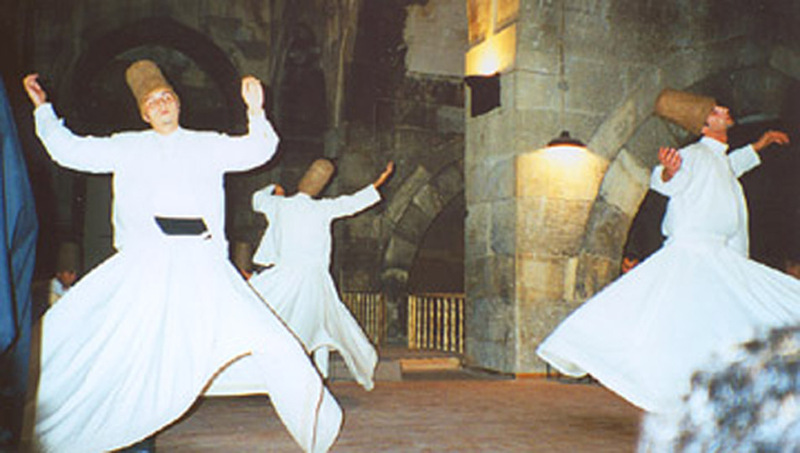 The dance performed by these men in the white gallabiyat is typical of traditional Egyptian Sufi movement such as could be seen at a zikr (ritual) during an Egyptian moulid (saint’s day celebration). As they complete their featured segment, the tannoura enters the stage wearing a more colorful ensemble of multiple skirts over trousers. 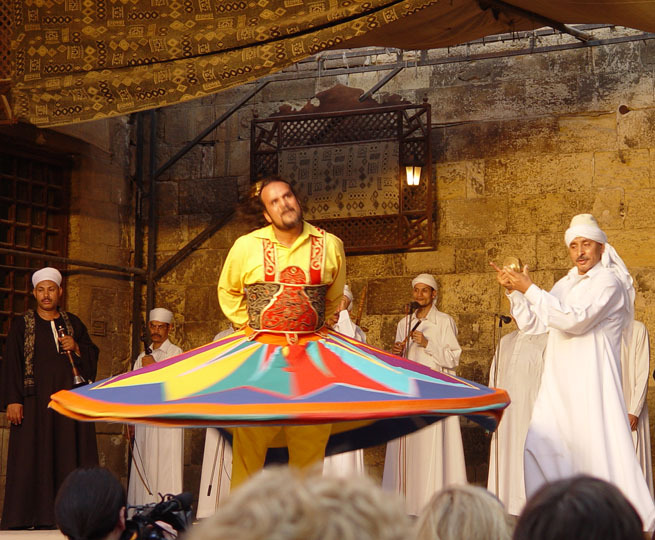 The focus turns to the tannoura, as the Egyptian-style Sufi dancers to perform in formations of a line behind him, or a circle moving around him. 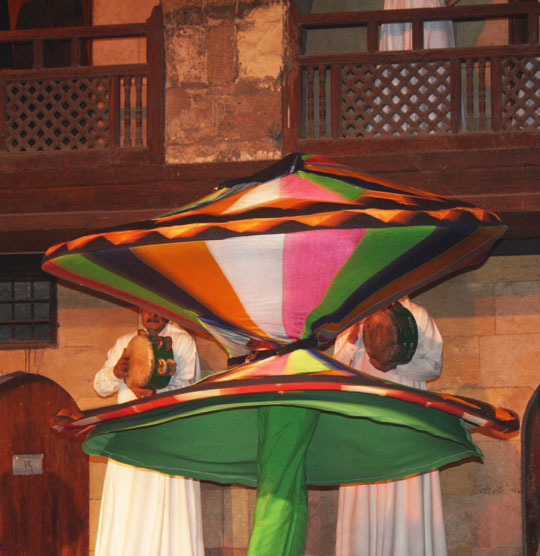 Often, the tannoura will begin the performance with a group of brightly-painted frame drums in his hands, holding them in a variety of formations while continuously whirling. Eventually, he hands these drums off to one of the other men while still continuing to turn. He then loosens the ties holding one of his skirts in place, and raises it up off of the ones below. At this point, he may hold it in various formations such as those shown earlier in this article, always while continuing to turn in place. Eventually, this performance draws to a close, and the tannoura leaves the stage. Next, a group of three other tannouras enters the stage. They too use their skirts to create a variety of visual effects as they whirl. For example, these two are rotating their skirts around their necks as they turn. If you’d like to find this group on social media, click here for their Facebook page. 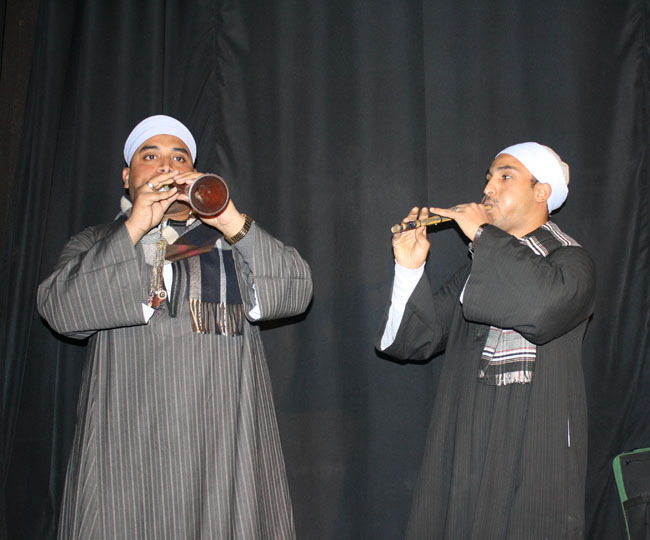 Tannoura performers appear in a variety of shows throughout Egypt, including Nile dinner cruise boats, nightclubs, and other entertainment environments. These shows often create a more secular feeling than those of the Al-Tannoura Egyptian Heritage Dance Troupe. The tannoura performers in these other environments often use secular music instead of the traditional spiritual Sufi music. They typically appear as soloists, and may use pre-recorded music instead of live musicians. It has become trendy for many of these performers to have an assistant dim the stage lights part of the way through their shows, at which point they turn on LED lights which have been sewn into their costumes. I have also seen tannoura dancers pull an Egyptian flag out of their vests and hold it high as they whirl. I have gone to see the Al-Tannoura Egyptian Heritage Dance Troupe perform about 15 times since the first time I saw them in 1999. 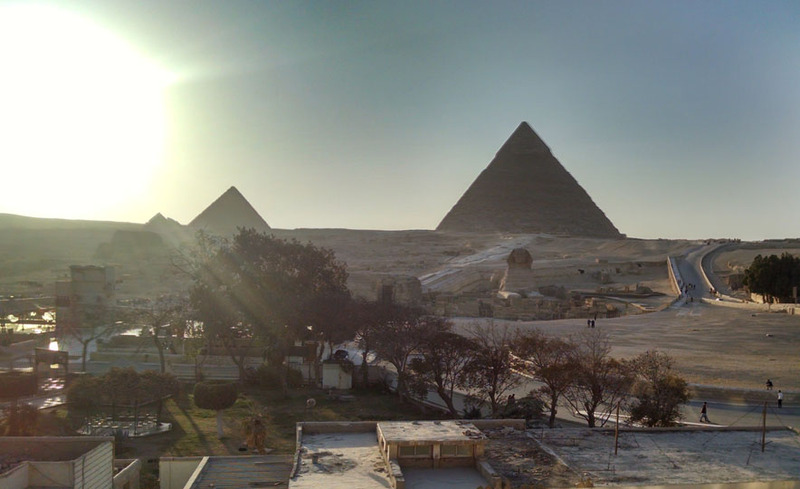 Sometimes I’ll go twice during the same trip to Egypt. I have never grown tired of it. I find the spiritual Sufi music to be uplifting, and the dance performances to be mesmerizing. Often, after attending a show, I find myself feeling calmer, less stressed, and peaceful. I also enjoy the individual tannoura performers that I have seen in Nile dinner cruise shows and “Egyptian party” shows at hotels. The flavor is different because of the more secular tone, but it’s always fun to see the showmanship ideas that the performers add to their whirling.